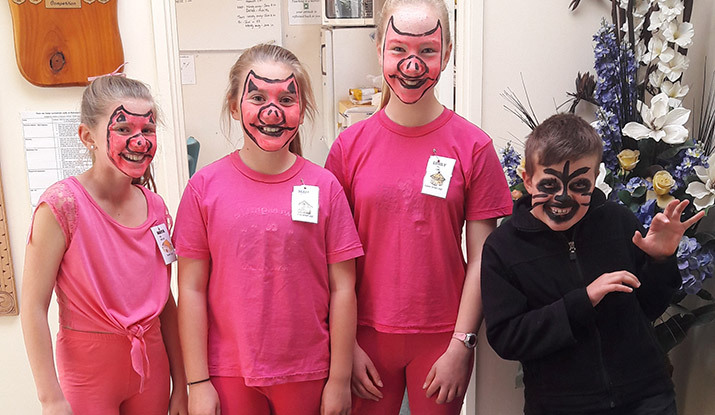 At Kahutara school we realise that home learning can sometimes be a stressful time, and that actually many of our students lead somewhat busy lives, with sports and other activities outside of school. We want home learning to be about positive sharing and making connections to classroom learning. It should also be about practising the basics, and maintenance of the essential skills. Year 0, 1, 2 & 3 students: At this age we would expect students to be completing learning activities at home for approximately 15 minutes a day on at least 4 days through the week. We recognise that learning and success comes in many forms and places. We consider playing sport, attending swimming lessons, dance, gymnastics, music, art and other out of school pursuits to be highly valuable and important to the growth of all students. Playing at a friend’s house and general playing at home is also important for children. We recommend 10-15 minutes of school based curriculum home learning to support these other pursuits. While there are plenty of options to choose from for additional home learning, it is paramount to give children time to play and not overload them with curriculum based learning. “The experience of play changes the connections of the neurons at the front end of your brain,” says Sergio Pellis, a researcher at the University of Lethbridge in Alberta, Canada. “And without play experience, those neurons aren’t changed,” he says. It is those changes in the prefrontal cortex during childhood that help wire up the brain’s executive control center, which has a critical role in regulating emotions, making plans and solving problems, Pellis says. So play, he adds, is what prepares a young brain for life, love and even schoolwork. We believe that all learning should be positive and purposeful. If your child is struggling with their home learning, or very reluctant to do it, please feel free to talk to your child’s teacher for some ideas or suggestions. Most days, most children will come home with a reading book. This is a book they have already worked through with a teacher in a guided reading workshop. Children can read through this book to someone in their family or on their own. These books are at a level where children can work out any tricky words on their own – with support and praise. There may also be previous reading books included for practise around fluency and expression. As children become more independent readers and have success at higher levels, reading texts for homework decreases to once or twice a week. Occasionally school events occur when reading doesn’t take place on a particular day therefore a new book won’t come home. Some children have word games in their reading bag to practice. Some children have spelling tasks or basic facts to practise at home to help consolidate learning at school. These are put in their reading bag along with their reading books. Please ensure your child brings their book bag to school each day. If you wish to add more learning tasks to what teachers have provided, or if there is no home learning provided on a particular day, any of these activities can be chosen. These are also useful for the holidays. Logins and passwords for your child are on the inside cover of their Kluwell Reading Log books. Emails, grocery lists and birthday cards are an authentic way to practise writing. Personal reading, visiting the library and being read to all contributes to becoming a successful reader. We believe that rich conversations about what is happening in class and linking to our inquiry are the most important things you can do. Sharing learning and making connections to real life situations is a great way to solidify learning. By looking on Seesaw you should be able to see examples of your child’s work and goals. These should give you some ideas about the types of questions you could be asking. We recommend using these sites to practise the basic skills. The following links are from Kahutara School’s Google Drive. These are basic maths equations and miscellaneous basic facts activities. Simply ask your child what level they are at in class and click on the corresponding link below. Multiplication Grid – Can be used to support the learning of Multiplication and Division facts. www.mathzlinks.wikispaces.com – This site has games related to each strategy and number stage. www.nzmaths.co.nz/families – A specific site on the NZ maths curriculum designed for home learning. Kahutara School Maths Hub – A site with different games, activities and videos. Students will be able to get on to this link as long as the are signed into their school Gmail account. First School Years Spelling Activities – All sorts of activities to do with long and short vowel sounds. All students need to be reading regularly at home. This could be reading independently or might involve sharing a book with a sibling or parent. Even looking at sophisticated picture books can still be a rich literary experience and can be nice time together. If your child is reading independently make sure that you check their comprehension occasionally by asking them questions to do with the text and vocabulary. Kahutara School Literacy Hub – A site with different games, activities, reading and videos linked to literacy. Students will be able to get on to this link as long as the are signed into their school Gmail account.